Gauge One (1:32 scale), Electric. This is one of the Fine Scale Brass (UK) models built by San Cheng Craft. Modelling at its best - accuracy and details. Ball Bearing on all Axles. A fine companion to your live steam. 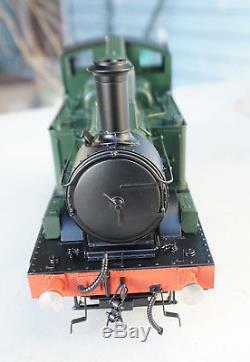 While you fire up your live steam, you can be running this GWR 14xx within seconds. Power supply to your tracks needed. 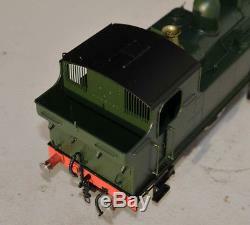 Factory painted GWR green, not lettered. From factory owner's collection. The item "Brass Hand Made. Fine Scale Brass series by SanCheng" is in sale since Thursday, December 14, 2017. This item is in the category "Toys & Hobbies\Model Railroads & Trains\O Scale\Locomotives".l4rkvdaxe" and is located in Voorhees, New Jersey. This item can be shipped to United States.